Here's a fun and easy cake that is sure to please the Sweet Tooths in your family! 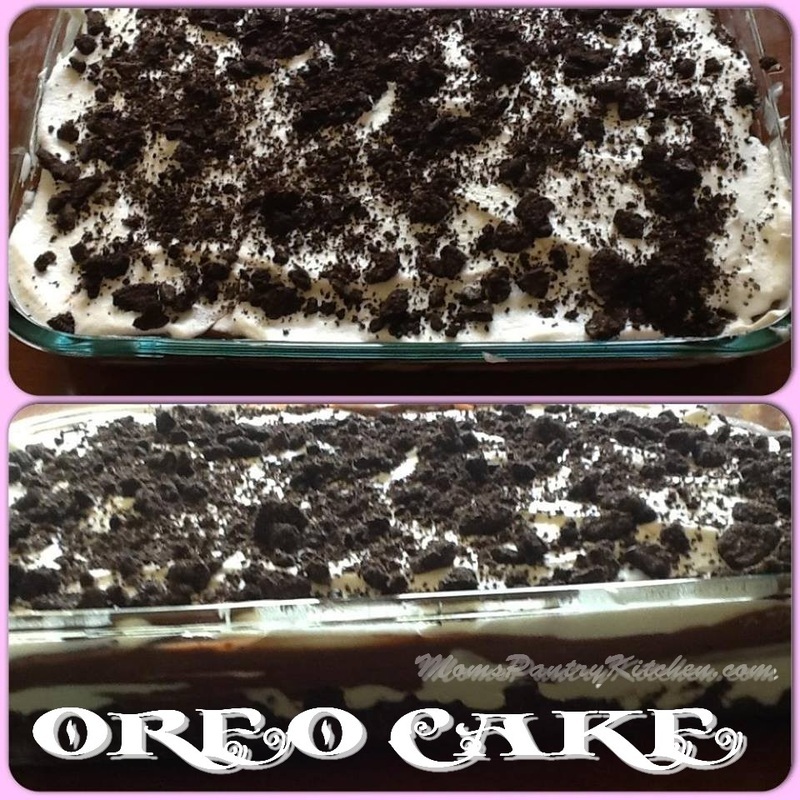 Pour melted butter over layer of Oreos. Bake 350 for 10-15 minutes. Blend cream cheese and powdered sugar and 1/2 of the whipped cream. 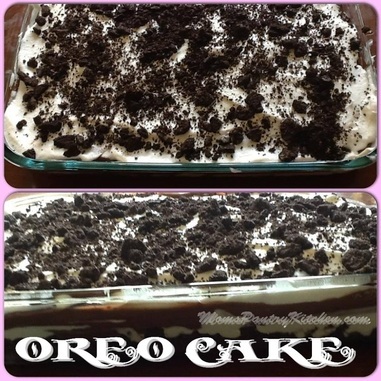 After crust cools, layer cream cheese mixture, then pudding, Top with remaining whipped cream and sprinkle remaining Oreos and let cool in the fridge for 1-2 hours then enjoy!